The half-up, half-down hairstyle is the style you need to master right now if you want your second-day hair looking fabulous all day long. You know the saying: wash your hair every other day to keep it healthy. 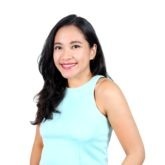 But that’s easier said than done — especially when your hair just doesn’t want to cooperate (we’ve all had those buhaghag hair moments); or when you’re having one of those off-days when your hair suddenly feels oilier than normal. So what’s a girl to do in-between washes? Simple: have a list of go-to half up, half down hairstyles that will turn your second day hair into polished and fabulous locks. These half up hairstyles are great for keeping your hair’s natural oils locked on your scalp, while giving the rest of your hair flow and movement. The result? You’ll step out into the world a little more confident, with a bounce in your step (cause cute hair days always perk us up). So grab your dry shampoo and take notes. Here are the half updo hairstyles you need to master! Editor’s Note: if it’s your first time using a dry shampoo, check out our quick tips on how to best use dry shampoo. Twisted braided bun. Credit: iStock. The secret to rocking second-day hair without anyone noticing is to create lots of volume at the top of your head with a half updo, like this Twisted Braided Bun. First, spritz your roots with your favorite dry shampoo, like TONI&GUY Matte Texture Dry Shampoo, which helps to instantly refresh the roots of your hair. Then do a half up french braid, stopping mid-way through your hair. 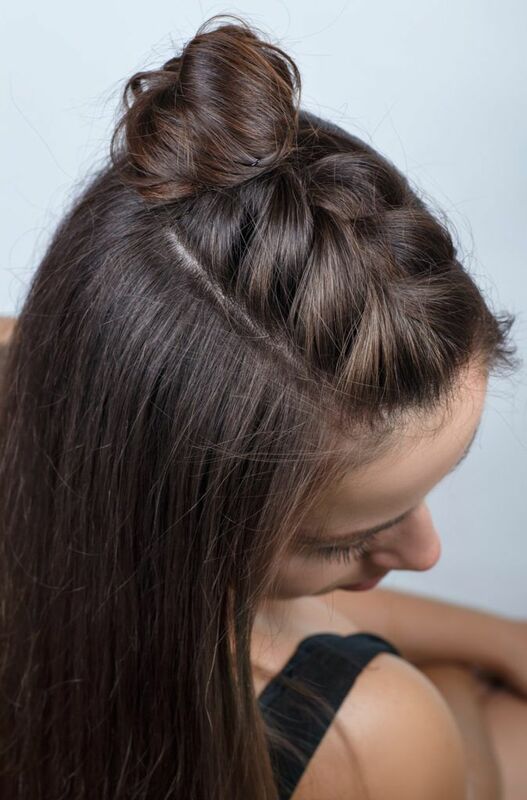 Loosen up the braid and twist it into a braided bun that sits atop your head. 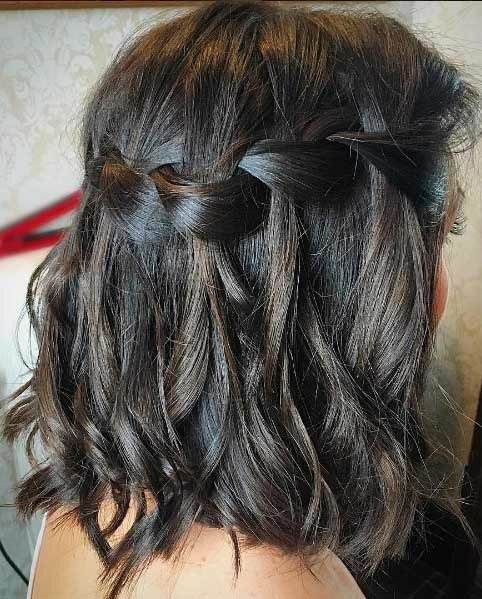 If your hair still has its volume and bounce from the previous day, then the Cascade Waterfall Braid is your go-to half-up hairstyle. 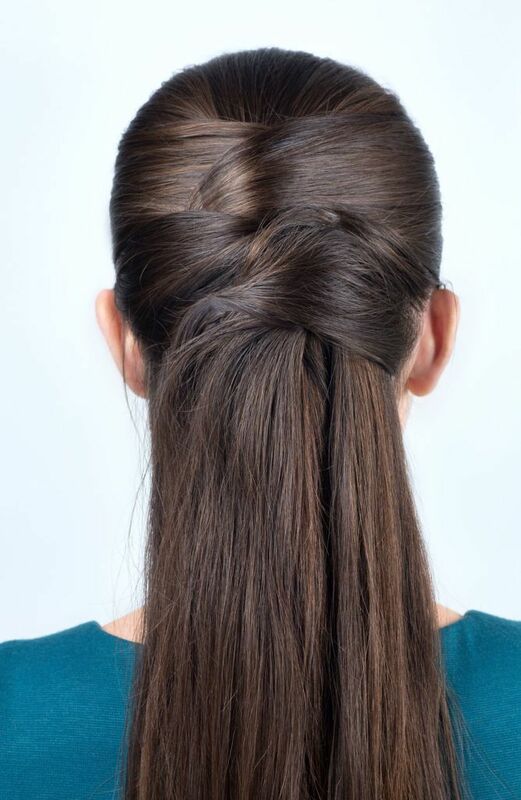 It’s a simple braid that goes all around the crown of your head (which is great for hiding your oily roots). Spray dry shampoo all over your hair, shake it out to remove any residue, and then braid along the mid-section of your hair. Braided twist bun. Credit: iStock. If you haven’t fully mastered the art of the french braid, the Braid Twist is the next best option. This half updo adds body to the top of your head — important for when your hair is looking flat and dull. After a good spritz of dry shampoo, portion out two chunky pieces from the top of your head, twist them together into a braid twist, secure it with a hair tie and wrap it all up into a bun. For added volume and bounce, you may also curl the rest of your hair. Side swept pinned hair. Credit: iStock. 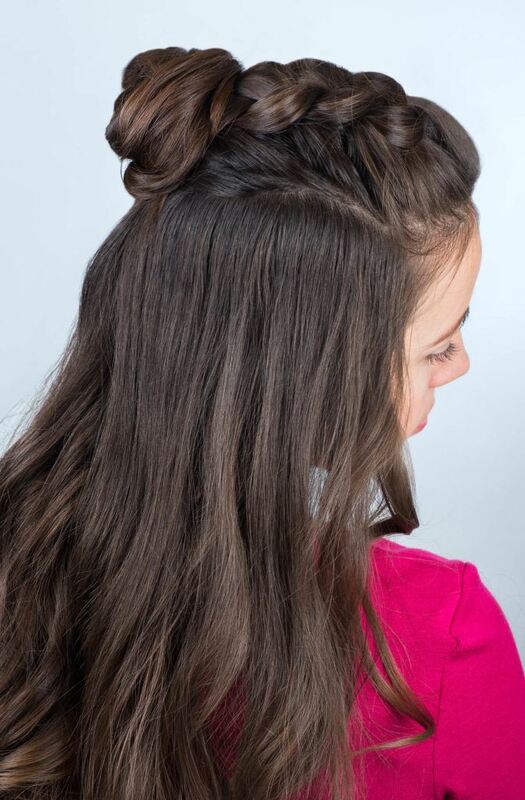 Another busy girl favorite: the Side Swept Pinned Hair. It looks like the dry version of the wet-hair, slicked back look; and is a great half updo that makes you feel like you’re rocking a ponytail but without the tightness at the top of your head. All you need are a bunch of hair pins and a good hairspray to lock the look in place. First, tie a section of your hair into a small half up ponytail. Then grabbing sections from the side, pull the hair away from your face and towards the base of the ponytail, pinning the hair in place. Repeat at least 2 more times, depending on the thickness and length of your hair. Then finish off with hairspray. A play on knots. Credit: iStock. 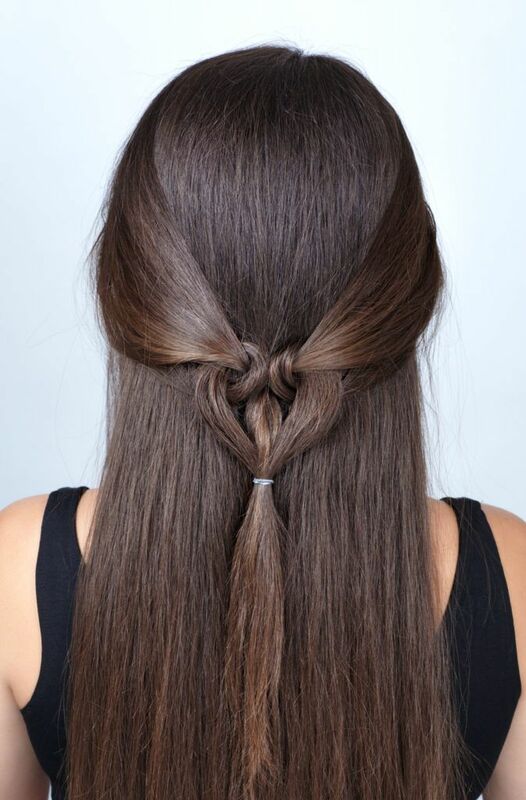 When you’re in a rush and want a quick half up half down hairstyle, a quick play on knots will be your best friend. As always, spray dry shampoo all over your roots — rubbing it in to fully soak up the oils. Then, grabbing two separate chunks of hair from both sides, pull it back and away from your face, twist the strands together into a knot, and pin it in place.